Lyme disease is a complex condition that can leave many of us feeling alone. We don’t always know where to turn, doctors don’t understand our symptoms; family members can’t always relate, and friends often struggle to see our pain. That’s why LDUK is so important – we have an amazing community full of support and advice, and we also welcome family members and friends who want to learn more about how to best support their loved ones. 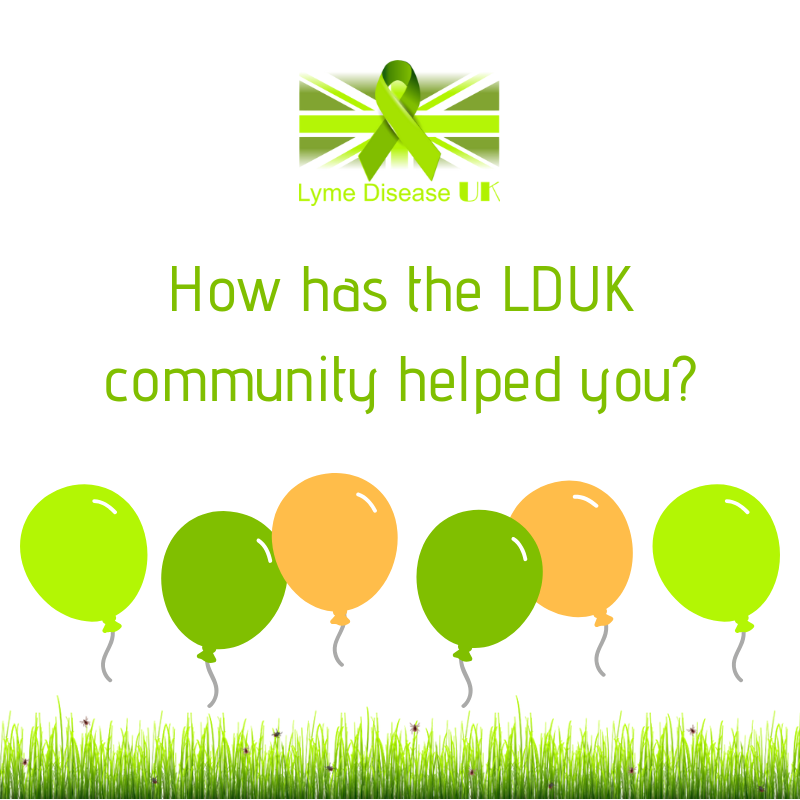 This is our last post celebrating our 5th birthday so we wanted to hear exactly how the LDUK community has helped since being founded in 2013, and the response was outstanding. Thank you to everyone who contributed with such kind, positive and inspiring comments! ‘Lyme is a disease that no one understands… except people in this amazing group. Thank you for making me realise I am not completely crazy and this is not all in my head… because, sadly, I felt this way for a very long time before I joined this group. I also like how peaceful and constructive the group’s awareness campaigns are. ‘The treatment path we are now following would not have happened if it were not for this page and the support to carry on when things are tough. ‘This group pulled me out of a black hole when I was at my worst. It’s helped me grow in knowledge and given me the support I needed throughout my 6 year struggle, and now I try my best to give back to others in need. Thank you to everyone who shared with us! For me, LDUK has been a lifeline – I am and will always be forever grateful for it. The community has inspired me to keep fighting, I’ve met truly amazing people who’ve become dear friends and the cheerleading and love within the community is fabulous. I have family members who are also in the community and it really helps them understand what I’m going through and how they can best support me. As always, we should be proud of what we’ve achieved, how far we have come, and the level of support we continue to give each other. Never EVER forget that you DO NOT have to fight Lyme disease alone. Whether you’re a patient, a friend or a loved one, LDUK endeavours to offer support to everyone.